Behind the futuristic glass walls of the Marina Sand Bay convention center, Money2020 celebrated its first Asian edition in Singapore. The acclaimed fintech conference series welcomed over 4000 participants who gathered to hear news about the latest fintech innovation in the region, to connect with like minded peers and to look into the future of the industry. I was excited about joining this crowd: I was hoping to learn more about Open Banking in South-Asia and I was keen to introduce the gospel of the Open Bank Project to the region and indeed Money2020 was a blast. Meeting so many of the movers and shakers of open banking in the region was a unique springboard for my subsequent six-week ASEAN Open Banking peregrination, which took me from Singapore to Indonesia via Malaysia, Thailand and Cambodia. Singapore is clearly the driving force of open banking in the region. The Monetary Authority of Singapore (MAS) is pushing for a lightweight regulatory framework regime, favoring a market-driven approach – a similar approach is currently taking shape in New Zealand. ‘Lightweight’ doesn’t mean doing nothing. MAS has published an API Playbook with guidelines for banks, has held multiple events and is currently exploring an ASEAN-wide industry sandbox with the help of the World Bank and IFC. This approach seems to have born fruit – of all the industry representatives I met during the trip, banks in Singapore are the most mature in terms of their open banking journey. Citi and DBS have fairly large API programs with some partners already in production, and other banks are now preparing to follow suit. Potentially, we have here a nice virtuous circle in the making. In Malaysia, Malaysia Digital Economy Corporation (MDEC), a government agency, is tasked with scaling the local fintech ecosystem. Maybank, one of the largest banks in the country, has already released a sandbox environment and has organised hackathons to connect with fintechs. There is willingness from other banks to deploy APIs. 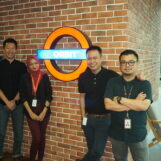 Our first Open Bank Project client is in fact in the region is from Malaysia. There’s also a healthy fintech community which would ensure that Open Banking provisions would be fintech-friendly. All these efforts have been done in the absence of real regulatory mandates. However, Malaysia’s central bank views an Open Banking strategy as a key lever to increase efficiency, broaden access, foster innovation and encourage competition in the sector. An implementation group will shortly be put in place, the outcome of this implementation group will determine the regulatory framework in Malaysia. The situation in Thailand is similar, in that no regulatory framework yet exists. However, banks are ready to work with fintechs. Kasikorn Bank, one of the largest local banks, has launched a +30M venture fund for startups and Bangkok Bank, another large bank, is running a twelve week fintech startup acceleration program since last year. APIs will help scale these efforts further. Thailand is currently preparing a Personal Data Protection Act (along the lines of the EU’s GDPR); it’s not specific to banks but will have ramifications for the industry and will make the task of introducing Open Banking regulation easier. Furthermore, the Bank of Thailand has recently encouraged the industry to standardise around a QR code payment scheme, a similar approach – starting in a regulatory sandbox- might be adopted for Open Banking if the scheme proves successful. Elsewhere in the region, things will take a little more time but there is excitement from banks and fintechs alike. In Cambodia, PPC Bank (a subsidiary of JBFG, a client of Open Bank Project), has released an open API quite recently. In Indonesia, BCA has a sandbox environment up and running and, as aforementioned, IFC and the World Bank are working on an ASEAN-wide industry sandbox for tier 3-4 banks. it is fantastic to see the overall dynamism in Asia and appetite for Open Banking. Singapore is leading the way, potentially proving to be a model for smart Open Banking regulation. Countries like Malaysia and Thailand have everything required to make a vibrant Open Banking ecosystem work successfully. There are certainly differences with Europe. ASEAN countries seems to favor a market-driven approach (vs Europe’s Payments Services Directive 2), the absence of a single harmonized payments zone means any approach needs to be at least initially country-based and the maturity of the local fintech ecosystems also means that some countries will need Open Banking earlier than others. Regulators should convene fintechs, banks and consumer-interest groups and hold safe spaces for discussion and experimentation; one of the best ways of doing this that we’ve seen working in Europe and abroad is with an Industry Sandbox, where banks contribute data and fintech contribute use cases. A hackathon can also be a good way to engage with the different stakeholders. Consumer groups have a pivotal role in evangelising the benefits of Open Banking, it is critical for them to be engaged early in the process to discuss risks and benefits, security implications and to get out of our fintech filter bubble. What is happening in Asia is definitely exciting. It is what we saw in Europe and the UK some years earlier but on a much bigger scale. I’m looking forward to spending more time in the region, working with our local clients to develop a vision for the future which brings banks and fintech closer together for the benefits of the end customers. It will probably take a bit more time to see concrete initiatives emerging but, as I’ve learned while motorbiking through the region, when there’s a will, there’s a way and it’s probably faster than the European route! 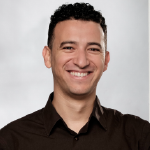 Ismail Chaib is the Chief Operating Officer at TESOBE / Open Bank Project. Passionate about the role FinTech can play in society, he is a vocal advocate of Open Banking. He appeared on the Bank Innovation list of 44 Innovators to watch in Fintech.